Building a Modular Model Railway, I’ll take you through the steps I’ve taken to begin building my model train layout. It’s going to be a switching layout that is built in modules so it’s easy to dismantle and move. Check out my website for more specific information like measurements and cost. I’ve chosen to work mostly with plywood and extruded foam for the subroadbed, foam is a great material to use especially for modules because it’s light weight, versatile and very easy to work with when it comes to forming terrain and ditches. 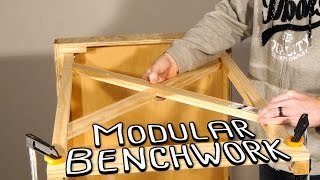 Follow along in the series as I walk through the entire process of building a model railway, from benchwork to scenery and operations. Thanks for watching and stay tuned for the next installment.